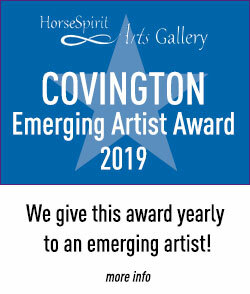 The Covington Emerging Artist Award is given in honor of Ms. Mable Covington Holliday, a talented artist and art teacher and a strong believer that all people have innate creative abilities. In the late 1950’s, Ms. Covington built an art studio outside her home in rural eastern North Carolina. Many of the women in her community had never expressed themselves outside their roles as wife, mother and worker. With patience and kindness, Ms. Covington welcomed, encouraged, and taught these women how to express their creativity through ceramics, quilting, oil painting, clothing design and fabrication, and other art forms. She ran her studio for over 20 years. Along the way, she lovingly taught her granddaughter Robin Holliday (Owner / Curator of HorseSpirit Arts Gallery) to create and appreciate art. 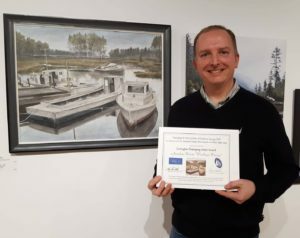 The winner of the “Covington Emerging Artist Award, 2019” is Jonathan Bush, for his painting “Workboats Waiting”, mixed media (graphite, charcoal, pastel & watercolor). Jonathan received a certificate and $500 from HorseSpirit Arts Gallery. Ms. Covington was also a determined, strong woman who persevered through the Great Depression, World War II and the Korean War, losing husbands to both wars. Through all this adversity, she kept creating art, welcoming people into her studio, extending kindness, and showing generosity to those in need. Above all, she held on to her belief in the goodness of humanity and the healing power of art. Artist Eligibility: Artists are eligible who have been exhibiting and/or selling their art for three years or less. (Participation as a student in sales or events that are part of an academic program or curriculum does not affect eligibility.) 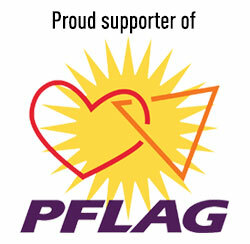 Artists affiliated with HorseSpirit Arts Gallery are not eligible for this award. 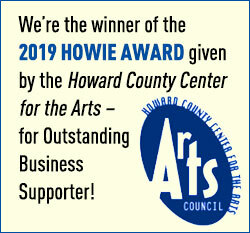 Art Media: Artists working in any art media will be considered for this award. 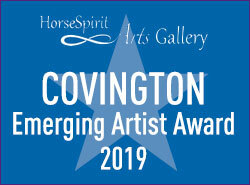 Selection Criteria: The Covington Emerging Artist Award recognizes the artist whose work demonstrates not only technical excellence, but also most clearly echoes Mable Covington Holliday’s belief in the power of the creative spirit. Selection Committee: Robin Holliday and two other artists of HorseSpirit Arts Gallery – Deborah Maklowski and Brenda Kidera – will select the award recipient. Error: Error validating access token: Session has expired on Sunday, 10-Mar-19 11:42:10 PDT. The current time is Saturday, 20-Apr-19 17:11:57 PDT.